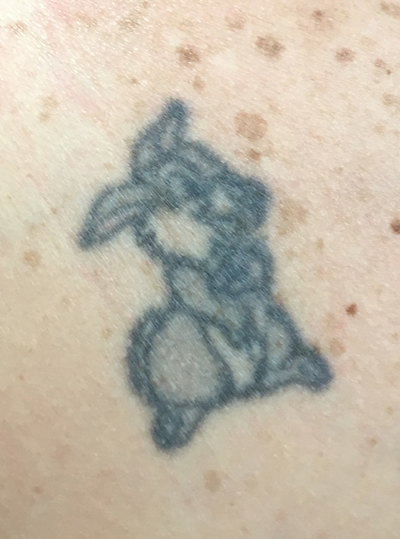 Harmony Multi-colour Tattoo Removal is a high power Q-switched Nd:YAG laser, ideal for treating darker ink colours (black, blue and green), while the 532nm wavelength is effective for brighter ink colours (reds, orange and yellow). The Q-Switched can effectively work by vibrating and breaking down the ink particles in the tattoo. 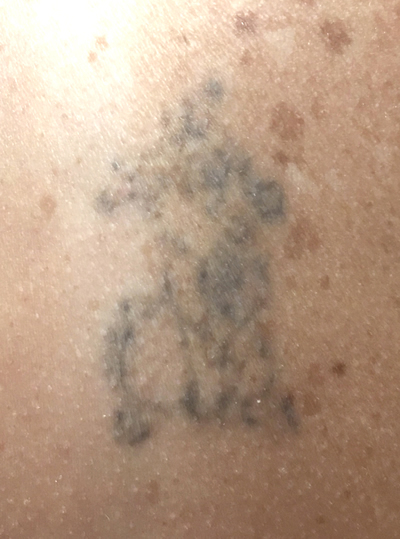 As the area heals, the body’s immune system flushes away the shattered ink particles, casing the tattoo to fade with minimal risk of scarring or hypopigmentation. Prior to treatment, a free consultation at our Bracknell clinic is carried out in which a medical history is taken to confirm suitability for treatment. There is also an opportunity for any questions you may have to be answered. Before treatment commences you will be asked to give informed consent, and a small test patch will be carried out at least 24 hours prior to your first session. Contact us on 01344 482 882 to book your free laser tattoo removal consultation today. Harmony high power Q-Switched Nd:YAG laser produces a high energy beam of light that can precisely transfer energy into certain targets within the skin. The pigment in your tattoo will absorb the energy from the laser and shatter into smaller pieces. Besides, the incredibly fast pulse of energy from the laser (at just 6 billionths of a second!) has a shockwave-like effect that assists the ink shattering. As a result, the ink acts like a sugar cube breaking apart into smaller granules. These particles are removed by phagocytes and drained out of the body through the lymphatic system. There will be redness and swelling and a white frosting over the tattoo straight after treatment. This is perfectly normal and indicates the treatment has picked up the ink. The area may then scab over and could take up to 2weeks to fully heal. Your laser specialist will discuss aftercare with you. The treatment may be uncomfortable, the sensation is similar to that of getting a tattoo. We are able to offer numbing cream prior to treatment if required. The Harmony Tattoo removal is a medical graded laser and is powerful enough to hit even the most stubborn ink. The number of treatments required depends on the tattoo, the ink used, skin type and quality of tattoo. Recommended course; Minimum 6-8 treatments/once every 8 weeks.